The Discraft Avenger is an overstable distance driver good for intermediate and advanced players. It is one of the primary drivers that helped Nate Doss win the 2005 Pro World Championships. With a level throw the Avenger will fly in a moderate hooking motion. 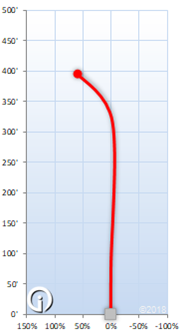 Throw it at an anhyzer angle and the Avenger will provide a nice S-Curve. 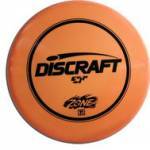 Discraft gives the Avenger a stability rating of 1.6 for Elite X plastic, and 1.8 for their other plastic blends. As a very popular maximum distance driver, the Avenger is available in nearly all of Discraft’s plastics.